In futures studies, various futures images are sketched and explored at three main levels: possible, probable, and preferred ones. 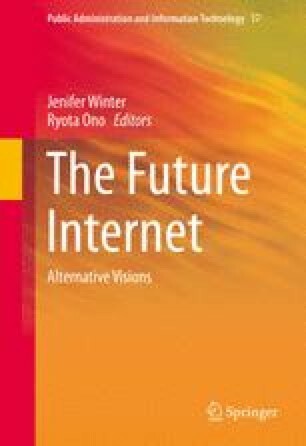 This chapter is concerned with identifying and discussing possible images of the future of the Internet. The Internet is a very recent phenomenon in humankind’s history. However, its development is fast and may divert into directions beyond our present expectations. Therefore, it is of crucial importance to explore various futures images in order to evaluate and foresee the ones that are worth attaining through active plans and measures. The current evolution of the Internet seems to follow a rhizomatic model, where knowledge is not disseminated systematically or logically based on a hierarchical binary tree-model, but instead follows the organic way of rhizomes to grow in all directions, penetrating all available niches. This new model heralds a digital meanings society, where people using the Internet are empowered in their search for meaning in all activities and meaning becomes the main capital. Three possible scenarios of the future Internet are presented, which vary according to their probability and desirability. This chapter contains some material drawing on the discussions with the following persons: Juho Ruotsalainen, Sofi Kurki, Markus Heinonen, and Marjukka Parkkinen. A few ideas from the Finnish reports written in the MEDEIA project (http://www.utu.fi/en/units/ffrc/research/projects/Pages/medeia.aspx) as well as Neo-Carbon Energy project (https://www.utu.fi/en/units/ffrc/research/projects/energy/Pages/neo-fore.aspx) have also been included in this chapter.